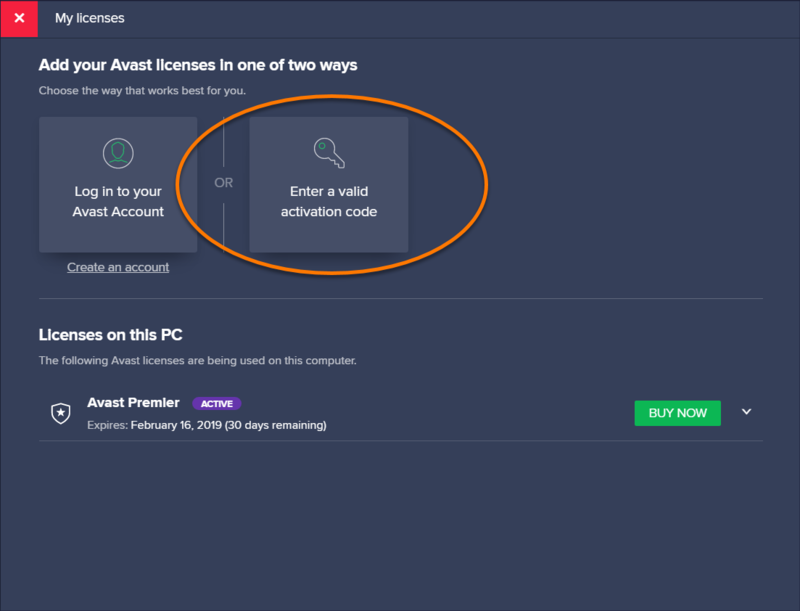 Double-click the Avast Premier icon on your desktop to open the application, then go to ☰ Menu and select My licenses. Avast Premier and Avast Passwords are activated. 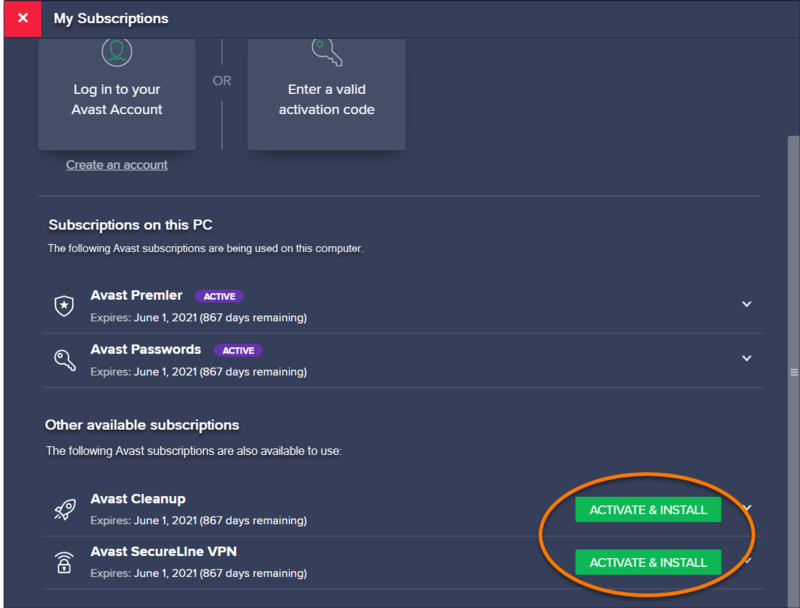 Click Activate & Install next to Avast Cleanup and Avast SecureLine VPN. Wait while Avast Cleanup Premium and Avast SecureLine VPN are installed. If prompted, click Yes to restart your computer. 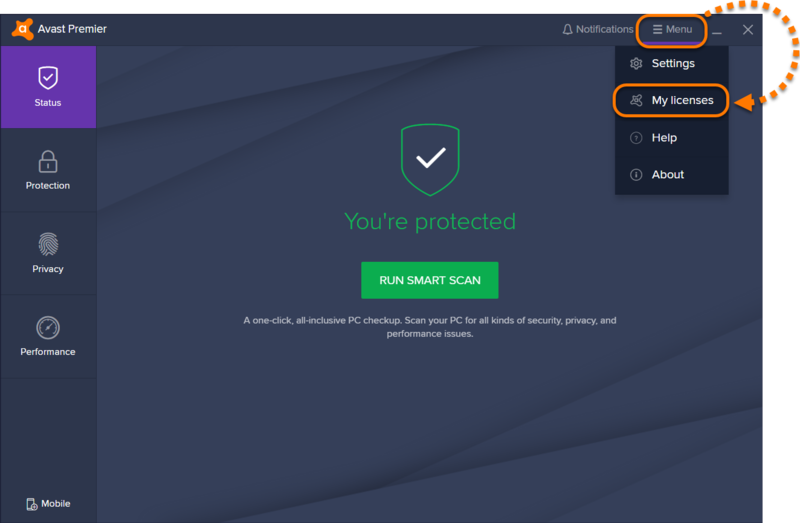 Your Avast Ultimate subscription is now activated. 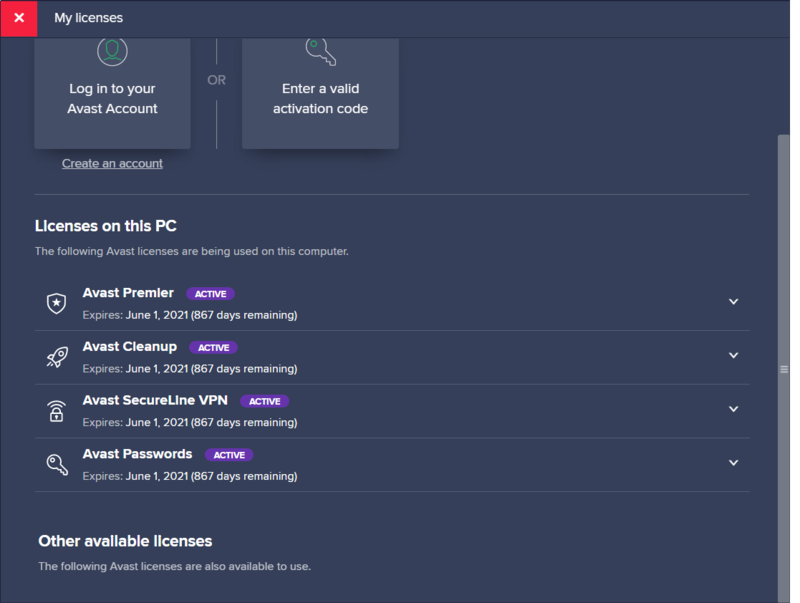 You can check your license details on the My licenses screen in Avast Premier.